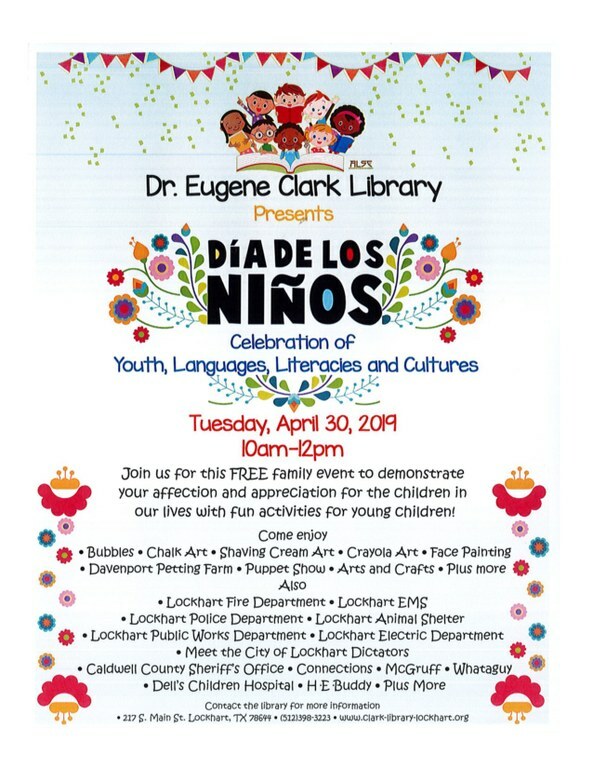 There will be no story time Wednesday, March 20th and no bilingual story time Thursday, March 21st The Dr. Eugene Clark Library is no longer taking appointments for AARP tax preparations. The Martindale Library still has available openings and can contacted to schedule an appointment @ 512-357-4492 We are now accepting donations for the Friends of the library annual book say in May. Please no damaged books, no VHS, no encyclopedias.